It is nice when you see a small town pulling together to provide family friendly entertainment. 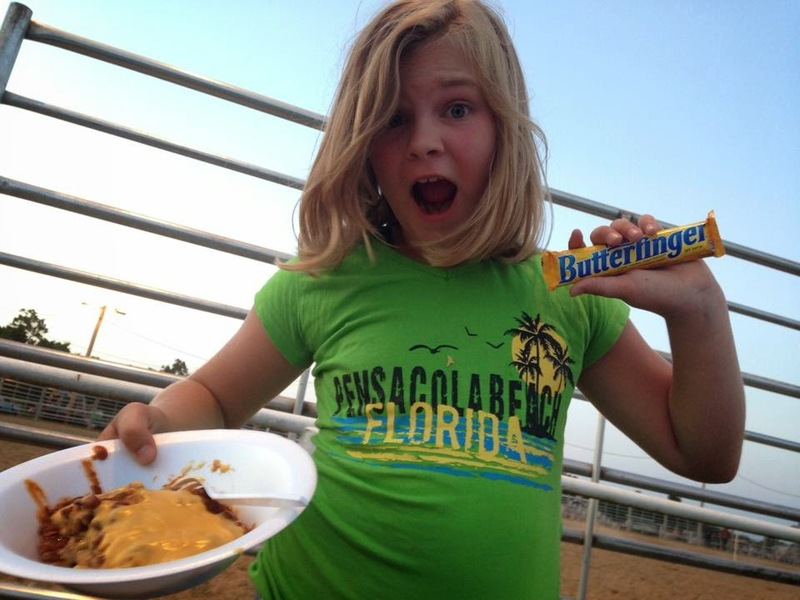 A few weeks back the kids and I attended the Richland Saddle Club Rodeo and had a blast. The Richland Saddle Club is like much of the other Saddle Clubs throughout Missouri, small and pulled together by volunteers, but you would never know that when attending. The arena is clean and well designed - meaning there is not a bad seat in the house, unless the wind is blowing. Many of locals had the right idea by pulling up their pick up trucks and making their own "luxury" seating. Now often the best part of a rodeo is the clowns, and the clown at the Richland Saddle Club was funny, but D-man would tell you he was not - Lefty (the clown) according to D-man is color blind and needed to go back to Kindergarten and learn the difference between orange, pink, and purple. Rodeo clowns can have a way about getting under our skin! The food, now if you ask Lesse she would tell you the Frito Pie was the best, while I agree it tasted yummy. To be quite honest, I was impressed with their food shack, typically you food shacks do not offer the variety of food the Richland Saddle Club did. You can honestly make a meal plus dessert from their menu! The stock, now we all want to see a wild rodeo, and I will giggle here as just about time for the rodeo to start they had about 5 horses that decided they had no desire to be in a rodeo and put on quite the show themselves. Note - while I would have been frustrated and furious, I never heard one foul word come out of the workers mouths - that is pretty good! Over all to sum it up the Richland Saddle Club Rodeo was perfect family fun - even though we were visitors we felt right at home! They get the crowd involved and keep them involved.